Today is Jenn’s birthday, and it’s also Thanksgiving. She actually was born on Thanksgiving day no-so-many years ago. Her dad told us that his Thanksgiving dinner that night was a tuna sandwich that a nurse gave him. Thankfully, we had a wonderful Thanksgiving meal today, compliments of Jenn’s family. 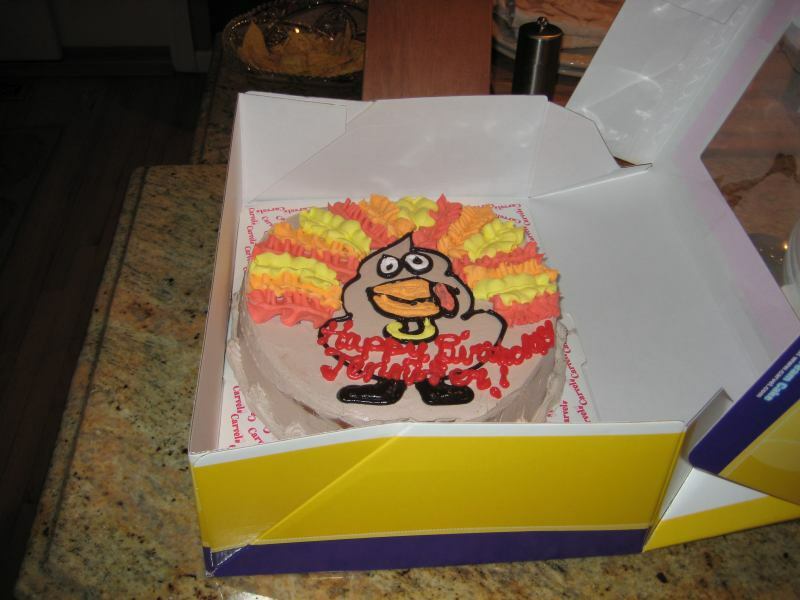 We also got to enjoy Jenn’s Tom the Turkey ice cream birthday cake from Carvel. Delicious. Happy Birthday, Jenn! And Happy Thanksgiving to everyone else! Tom the Turkey says happy birthday to Jenn.